Has anyone used these PM's yet? Thoughts on design? Not yet, saw they had a sale on them so I might have to grab a few...check their FB of you're not on the email list, sales links are usually posted there. Yeah I’m gonna grab a few and will report back once I give em a go. What size(s) do you plan to buy? I ordered size 6 and 9. The 9s are on back order. Mine have arrived. Got the gold blade and the rainbow trout pattern. Hope to get somewhere this weekend. Curious to see how they retrieve and spin in a current. My guess is that they’ll be no more or less effective than the normal ones and it’d be hard to quantify anyway. 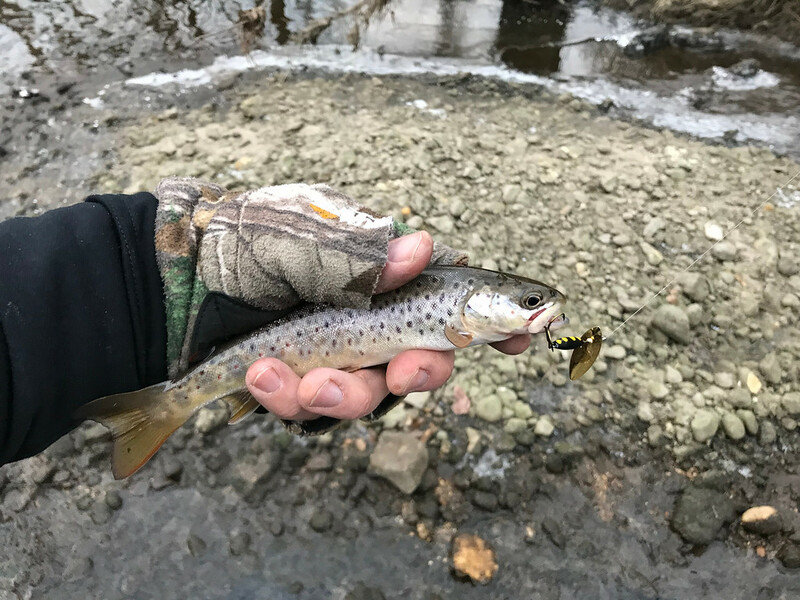 Got out today and gave them a try. Initial impressions are negative for me. They ride high in the water - much higher than the same weight teardrop spinner. In addition, they move through the water with a lot less resistance, meaning that it hardly feels like a lure is on or it feels like a regular PM feels like when it's not spinning. So with that in mind, I doubt that it's causing as much of a stir under water and may not attract as many hits. Doubt I'll be getting more. Needing a heavier lure to make a long cast that won't sink as much coz you're in shallow water. Maybe spooky fish will like them better because they don't make as much of a commotion. I appreciate the report from a true Subject Matter Expert! Much better than the usual marketing hype from the manufacturer. I never liked the look of the Willow Strike for stream fishing. That said, I’m sure they could have useful lake fishing applications. Long casts to fish in shallow shorelines? Thanks for the report Gurth.